You know when you wanted something already and then Jaclyn Hill says she loves it then you need it in your life immediately - this is that product! 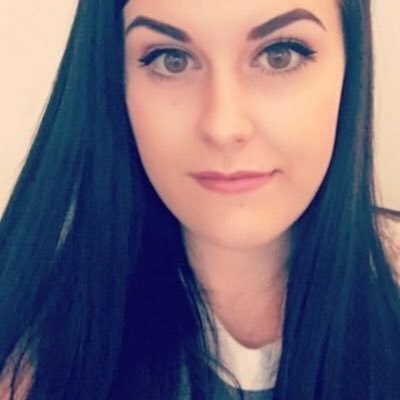 And then one of my favourite YouTubers, Nicole at Young Wild and Polished mentioned it on snapchat and I brought it and haven't looked back! 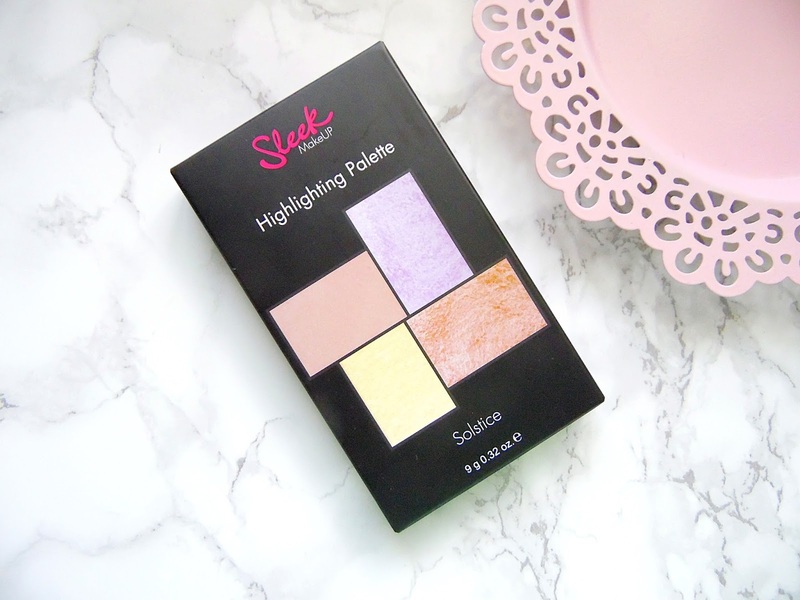 Thank you Sleek for creating such a beautiful highlighting palette - I am obsessed! The Sleek Solstice Highlighting Palette comes complete in stunning gold reflective packaging with a decent sized mirror inside as well as a small brush for on the go application. In the palette are three powder highlighter and a cream, I much prefer the powder highlighters as I find them easier and quicker to apply. This palette is going to give you that out of space seen glow which I personally love with these intensely pigmented highlighters. Inside the palette are the four highlighters which I haven't stopped using since I got the palette, step aside theBalm Mary Lou - you might have just been replaced! Ecliptic is the cream highlighter, Hemisphere and Equinox are baked powder highlights and Subsolar is a silky shimmer powder. Jaclyn Hill's favourte shade from the palette is the golden powder highlight for a good reason, it is beautiful on the skin without adding any glitter. This highlighter shade is on the lighter side of the golden highlighters which is perfect for us pale girls. All of the shades are super soft, blendable and apply like a dream to the cheekbones and have great lasting power, at the end of the day even if the rest of my foundation has faded my highlighter is still going strong! My most used shades from the palette are Hemisphere (the purple/lilac shade) and of course Equinox which is the shade Jaclyn loves. 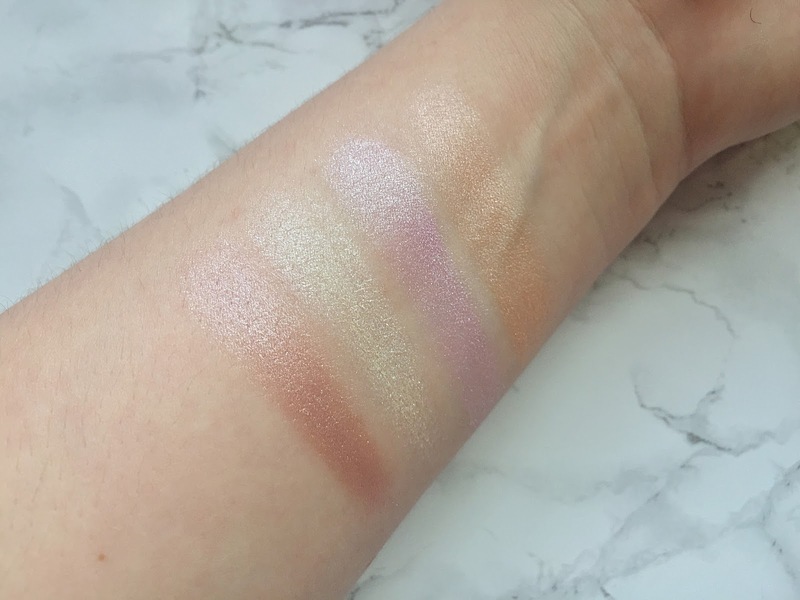 I was so surprised at how much I loved the lilac shade on the cheek bones - it is just stunning and different from any other highlighter I have in my collection. It doesn't look odd on the cheeks but it does add a little something different. I find this shade is perfect when paired with a light pink blush. 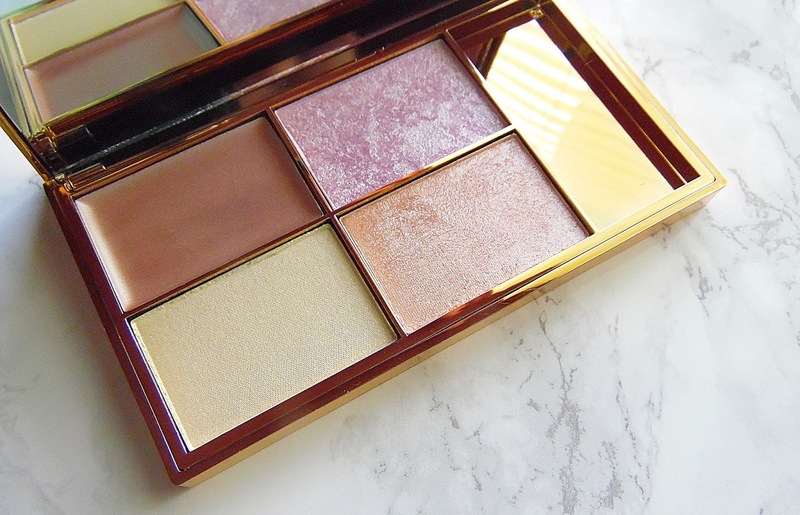 If you are looking for a budget friendly highlighting palette, you just found it! This palette retails for £9.99 - HERE.